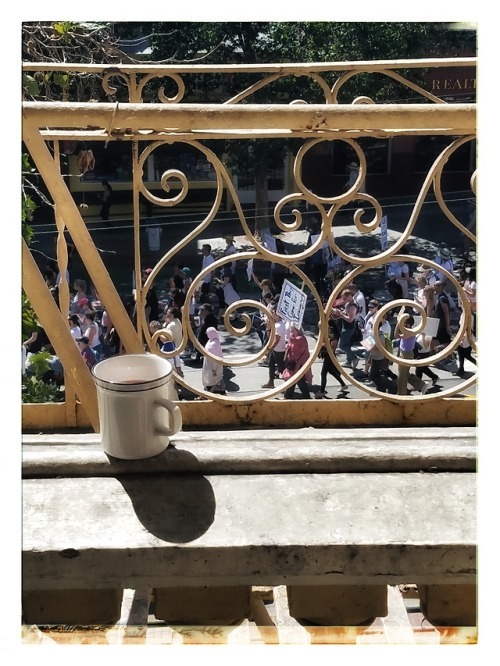 I am enjoying a raucous, massive anti-Trump demonstration march by as I sip on my morning cup of tea. I am guessing 10,000 perhaps more. They’ve been marching by for over an hour now. I am heartened to see so many people not just here but around the country and the world standing up to counter the pure evil that is gripping our democracy. #resist!! !